Summer is coming to an end and mother’s around the world are rejoicing. It’s time for school! It’s time to send the kiddos off for learning and fun. This means getting back into a school year routine. If you have picky eaters, a major part of that routine is packing school lunches. 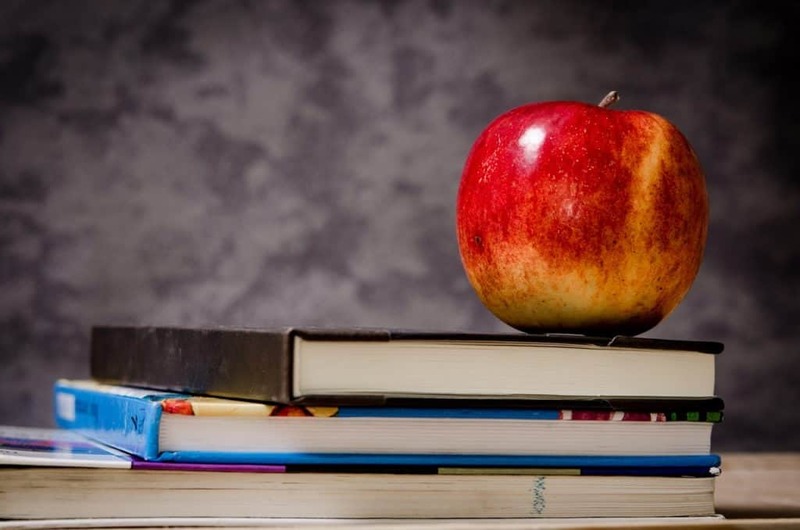 Packed lunches are a great option when your child isn’t too fond of what the school has to offer or you want a little more control over what your child is eating. 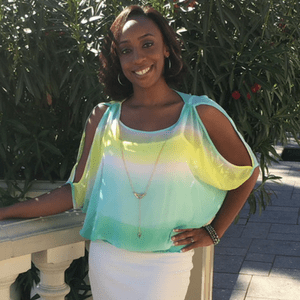 In this blog post, I will give you tips on how to pack school lunches that kids actually eat. There are multiple reasons why you might decide to pack school lunches. Your child may not like the majority of the items on their school’s lunch menu or it might be more economical to pack school lunches than to purchase lunch from the school. If your child has dietary restrictions or food allergies, packing lunches is a must. More importantly, packing a lunch allows you to include healthy foods your child will actually eat and it doesn’t have to cost any more than what you would be paying for lunch at school. Packing school lunches has its advantages. However, packing a lunch every day doesn’t do any good if your child doesn’t eat it or ends up trading most of it away from junk food. The key then is to find those special gems that your child loves and enjoys eating. The simplest solution is often overlooked. The best place to start is to get your child involved. Depending on the age of your kids, you could even put them in charge of making their own lunches. Not only do you know that they’ll pack something they will eat, being in charge of packing their lunch will also teach them responsibility. Getting the kids as involved as possible will make sure that they end up with lunches they will eat. 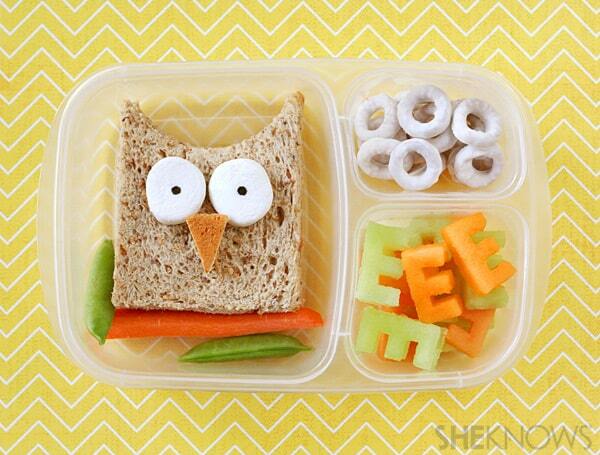 For older kids that may mean making their own lunches (under your supervision of course). Younger children can help. Even your kindergartener can wash grapes and put them into a container, or pick a snack for her lunch box. Get in the habit of making lunches together the night before. Over time you can give the kids more and more responsibility for their lunches. This alone will help make sure they eat what they’ve packed. After all, it’s the lunch they made. Along the way, you’re teaching them independence and important life skills. 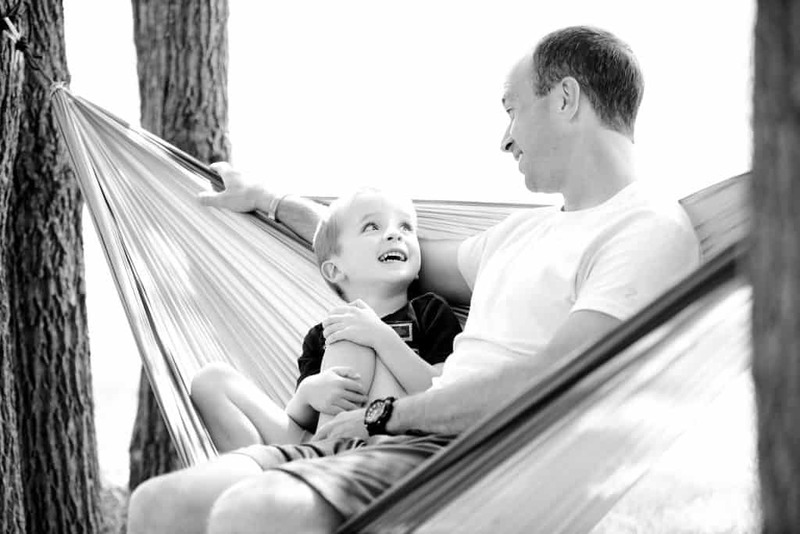 Start by talking to your kids about what they want in their lunch box. Get them to help you make a list of all of the items they would like to see in their lunch box. Be sure to include a variety of food and drink options. Also make sure you have the proper containers to keep food, cold, hot, or from getting smashed. Make a list of options and then head to the store so you have everything you need for the first week of school. Packed school lunches don’t have to be boring or bland. 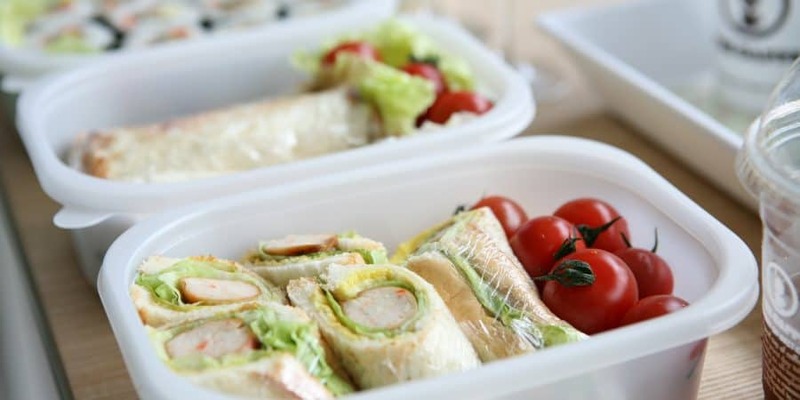 Get creative and pack school lunches that will be the envy of the class. This doesn’t mean loads of junk food. 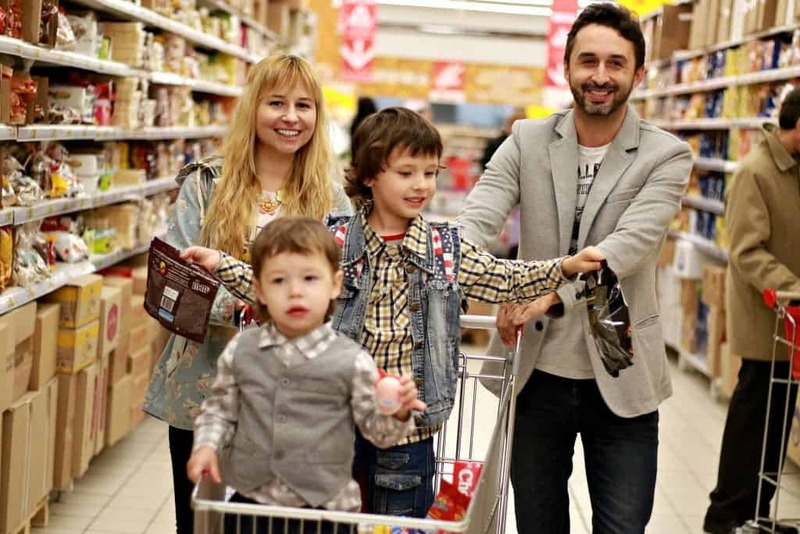 Encourage your kids to pack and eat healthy foods. Insisting on all healthy, organic food options all the time may not be your best strategy though. Strike a balance and make compromises. If your kids pack and eat a healthy wrap or salad, for example, let them have some cookies for dessert. Teach them to make good choices, but don’t freak out if they decide to pack some Cheetos or a pack of Oreo cookies. Your goal is to get them to eat fairly healthy and make smart food choices, not restrict all access to junk food, causing them to trade with friends for forbidden Twinkies. Your kids know what they like. Join forces with your kids and you will make packing school lunches easy. 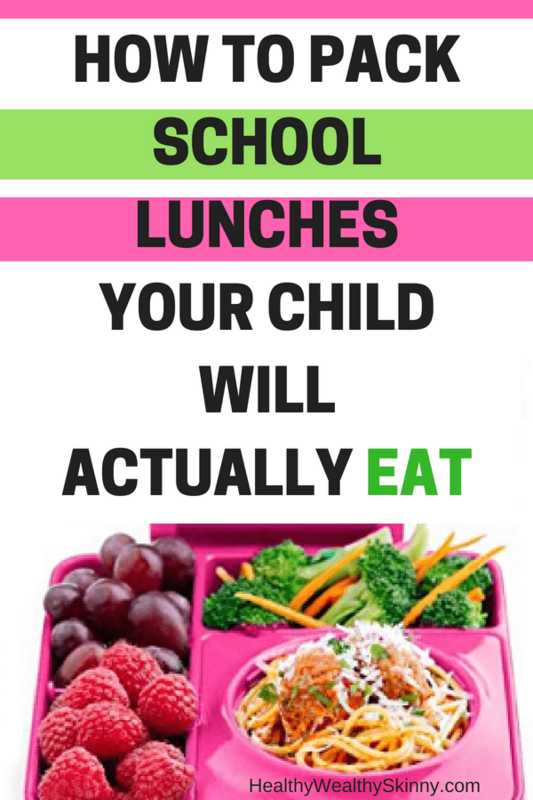 Most importantly, they will be lunches that your kids will actually eat. Leave a comment and share your favorite packed school lunch ideas. Lol… Thanks Sophia! They will work great for adult lunches as well. Ahh this is such a handy post. I love the idea to make our kid’s school lunches balances and fun. I believe it’s good practice to have a separate grocery list just for our kids during the school week. I also think it’s a great idea to get the kids involved and excited about what healthy and yummy lunches and snacks mom has packed. Angelle, it’s all about planning. Getting your kids involved in the planning stage ensures you’re going in the right direction with lunches they will love. I don’t have a school-aged child, but my toddler surprises me with the amount of healthy foods she enjoys eating! I would say another thing to add here is to experiment – summers may be great for that! My little one likes some healthy foods that I don’t even like (mushrooms, olives), whereas others she doesn’t care for others (avocado, broccoli). Just because it’s not a typical kid food doesn’t mean your child won’t like it, and vice versa. Thanks Grace! That is awesome advice. I agree that we never really know what our kids might like until we allow them to explore. It’s great that your daughter already enjoys healthy eating. Love these ideas! My daughter was always such a picky eater (still is). It was so hard to not just make peanut butter and jelly for her every day because that is literally all she would eat! When she was in elementary, making the food “fun” often helped. Making a face with the bread or some other silly thing. Those always went over well. Hi LeeAnn, I have a picky eater too. I try to think of the end goal. For her to get and eat a good healthy lunch. If she wants the repetition then by all means go for it. Like you said just making the food fun can do the trick. Lol, sending you good vibes. I’m sure she can help you figure out some good options. She’s definitely old enough to pack those lunches herself. ? I don’t have any kids but definitely found some of these tips helpful for myself. I’ll get into the same rut of packing a super healthy lunch but by Friday I’m so over it. I think now I’ll start packing a little sweet treat on Thursday and Friday to reward myself for a great week of healthy choices! That is a great idea Katie! You have to mix it up for yourself as well. Previous Post Bullet Journal – What the Heck Is It?